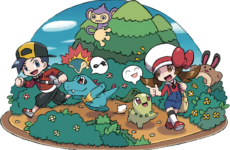 The lore and story building of a game is the most important component which allows the game to pull in the players into a believable and breathable world. The Witcher Universe, created by Andrzej Sapkowski in his books and later adapted by CDProjek Red in their games, is one of the best medieval fantasy worlds ever created. CDProjek Red with their game of the year The Witcher 3: The Wild Hunt further expanded the universe by introducing new characters, new stories and more importantly a new card game. The in-game card game Gwent was suppose to be a collectible item that players would be able to play with and collect throughout their journey in The Withcer 3 but later grew into its own standalone game. 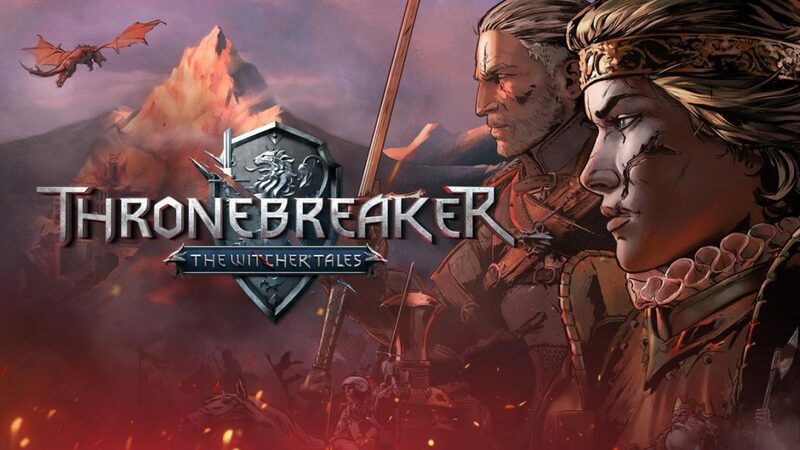 Thronebreaker: The Witcher Tales is a single player campaign that is based upon the standalone card game Gwent. It is based on the card gameplay of Gwent but has a storyline that ties into the Witcher universe. It promises at least 30 hours of gameplay with 20 unique possible endings, which for a card game, is astounding. The game stars Queen Meve as the main character. She is the ruler of both Lyria and Rivia of the Northern Kingdoms who has to fight the forces of the southern Nilfgaardian Empire. Players will have to recruit soldiers, subvert spies and back stabbers while also maintain morale of whole armies. All of this combined becomes a unique take on the Role Playing Game genre whereby the fights between armies are played through a card game. In particular, Gwent. Each battle can either be a normal game of Gwent pitting one army against another or a puzzle game where you have to solve the board using limited number of cards. 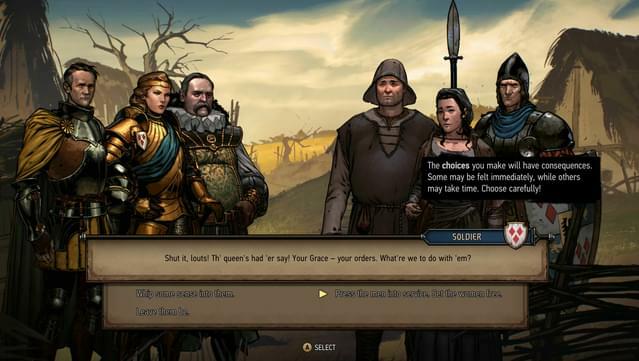 This unique gameplay is rarely seen in a RPG game and Thronebreaker does this incredibly. The player will be able to control Queen Meve via point-and-click throughout a given map of the Witcher world, interacting with objects to gather resources or interacting with the people to either expand or drive the story forward. 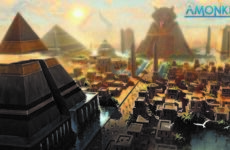 The game has 5 maps for players to explore with each map larger than the previous. The game also features an ensemble cast of characters with their own unique personality and story, but be warned – some of them might stab you in the back. Each decision you make may affect the characters loyalty and each character you keep may affect the story. The storytelling is amazing with each map having you explore different continents of the Northern Realms and each dialogue so well-scripted that you’re introduced to the characters to greater depths. Again, as mentioned, the game promises 20 different endings thus making the game re-playable for as many times as you want with each new game having a different story and outcome. The other great aspect of the game is the music, with each battle and each map feeling like you are at war with the Nilfgaardian Empire. The music feels epic and the victory feels sweeter as the winning sounds of war are played after every battle. The game is not without flaws and one of the biggest ones to me is the difficulty of the game. I like a little challenge in my games and as a Gwent veteran, the game battles (other than the puzzles) are fairly easy even on the hardest difficulty. I was able to win battles even with a weak army because the AI for the game does not seem to make great decisions, which can sometimes bring you out of the immersion of the game. Until next time, “This harvest, we’ll be reaping black clad heads”. Magic The Gathering: Get Set, Ready to Pro? 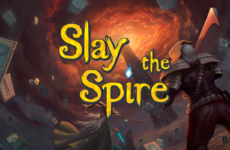 An Introduction to Slay the Spire!